If you thought smoking rollies or pouch tobacco was better for you than traditional cigarettes, you’re not alone. Half of young smokers in Victoria believe that smoking roll-your-own cigarettes are less dangerous for them, and they are very wrong. Wrong! The damage from smoking is caused by inhaling smoke from burning tobacco leaves. The smoke contains tiny particles and hundreds of chemicals that are created when the leaves burn. Whether those leaves come from factory-made cigarettes or loose-leaf tobacco or any other form of dried plant, doesn't matter. If you thought smoking rollies was healthier for you because they haven't been "processed", consider that myth busted! Some people think that because they’re using rollies, they’re smoking less. But often people who use roll-your-own cigarettes tend to take longer puffs and inhale more smoke per cigarette. So, using roll-your-own tobacco might not mean you are smoking less. Maybe once upon a time... Up until September 2016, loose tobacco was taxed less. But now, the price of loose tobacco is the same as manufactured cigarettes. Tobacco companies are trying to fool customers by producing smaller and smaller pouches so it doesn't seem like you are paying as much. Turns out, you end up paying less per pouch but having to buy pouches more often. The bottom line? Rollies are not just costly for your health, they're costly for your wallet, too. Tobacco leaves might be 'natural', but what isn't natural is inhaling smoke from burning tobacco leaves day after day. Burning tobacco (or other plant) leaves - whether they are in manufactured cigarettes or loose from a pouch - creates dangerous toxins such as carbon monoxide and tar. At the end of the day, roll-your-own tobacco still leads to many life-threatening health problems, including 16 types of cancer. 5)	I roll mine skinny, which makes them better for me. There’s a misconception that rolling skinnier cigarettes means you’re smoking less tobacco overall. The size of the cigarette doesn’t actually make a difference; you’re still inhaling nicotine, tar and carbon monoxide. Just because you rolled a skinnier cigarette, doesn’t mean it’s any better for you. Any kind of smoking is doing your body damage. Whether it’s rollies, cigarettes or shisha, it’s the tobacco smoke you inhale that's doing you damage. But the good part? Your body begins to repair itself the minute you quit smoking. The best way to quit is to use a combination of methods. Adding personalised support such as the Quitline can help you not just quit, but stay quit. 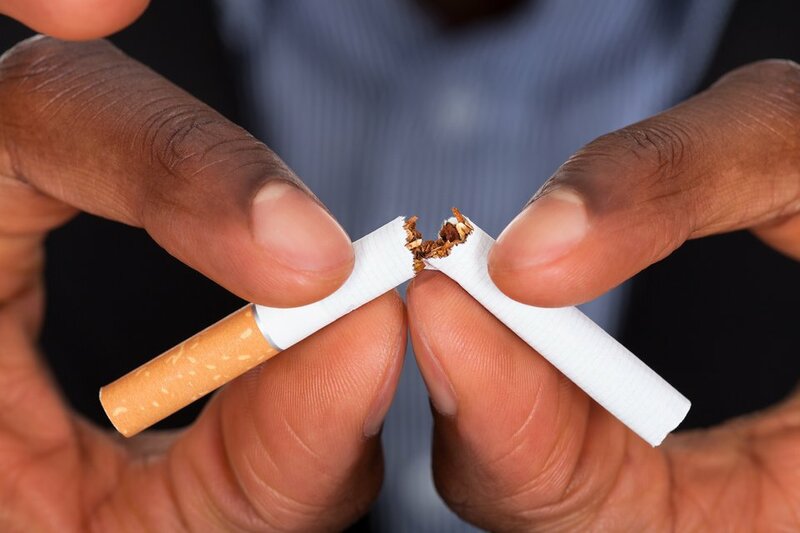 Call the Quitline on 13 7848 and get tailored information on how to beat the habit, use nicotine replacement products and other tips and tricks. Click here to build your own quit plan or read up on how former smokers beat the habit.